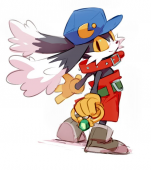 Kaze no Klonoa had the most liked content! Haven’t heard about this at all, but I will stress that unions are very crucial to alleviating this and that if you’re working in the games industry and are frustrated with bad conditions, consider talking to your co-workers and go to a organization like Game Workers Unite (gameworkersunite.org) to get the resources and advice you need to start a union internally. If you’re not involved with the industry, supporting us is more than enough! Most games are often made at the expense of other people and it’s a problem that’s the result of no one condemning awful treatment of workers and disorganized management. No don’t be dead please lol. Enjoy every single moment of this opportunity that you all have worked so hard on and it paying off instead. That art style reminds me of Splatoon a little. I also like rhythm games. 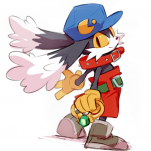 Congrats Klonoa! The art style looks amazing! This is exciting! Best of luck with the game! Enjoy the ride kiddo and I wish you much success! hey man, i just played it and i wrote down a bunch of my thoughts on it. is it fine if i post it in your thread or is there some other place you'd prefer it? well anyways, hope you had a great day! I said the same thing nearly 17 years ago...you were just 1 then?! You young people make me feel old lol. Happy birthday and welcome to being an adult! I feel so old now. We better seeing how close we live to one another! person: "Hey that's a cute character, it's from one of the games you're making, right? What's it about?" 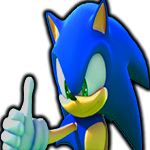 me: "the main character and the other characters he meets face their worst anxieties and insecurities which manifest into a really strange and dangerous substance and all of their worlds got erased, will probably be rated T or M"
"Aw, your little gumball Sonic is so cute, what's he about?" 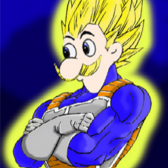 "Oh, his story is all about Sonic is actually the spawn of a demon under the Earth itself and he's trying to surpress his violent tendencies to do good since it's a symbol of how mankind is inherently evil and how we struggle with those temptations everyday and how powerful our will and choices can be over our nature."